Insurance can protect your business’s future – so it’s wise to get informed! Any business owner knows to take risks once in a while. Part of being an entrepreneur is about building your business with a solid foundation and the protection for the future. 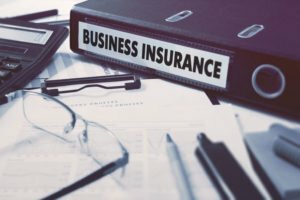 In the early days of your business, insurance may seem like an unnecessary expense. However, the security that it provides can be potentially invaluable! To get you started on the coverage that your business needs, here are the top policies! General liability insurance. This coverage can help you to stay protected from payments that are the result of injury, property damage, medical expenses, libel, slander, and other judgments required during appeals procedure. Protecting your many assets, this insurance covers a considerable breadth. Product liability insurance. If your product injures someone in someway, you could end up with an unpleasant lawsuit. Obtaining this coverage means that you won’t have to face the legal expenses on your own! Commercial property insurance. Your business, nine times out of ten, uses a building to conduct business. If there’s a fire, natural disaster, or theft, you’ll need this coverage in your policy to help get your business back on its feet quickly. Professional liability insurance. Providing a service instead of a product doesn’t mean that you’re exempt from risk! Professional liability insurance will help you to protect against malpractice or negligence that you or one of your employees causes to a client. For all of your insurance services in Fresno and neighboring cities in California, contact the professionals at McCarty Insurance Agency today!